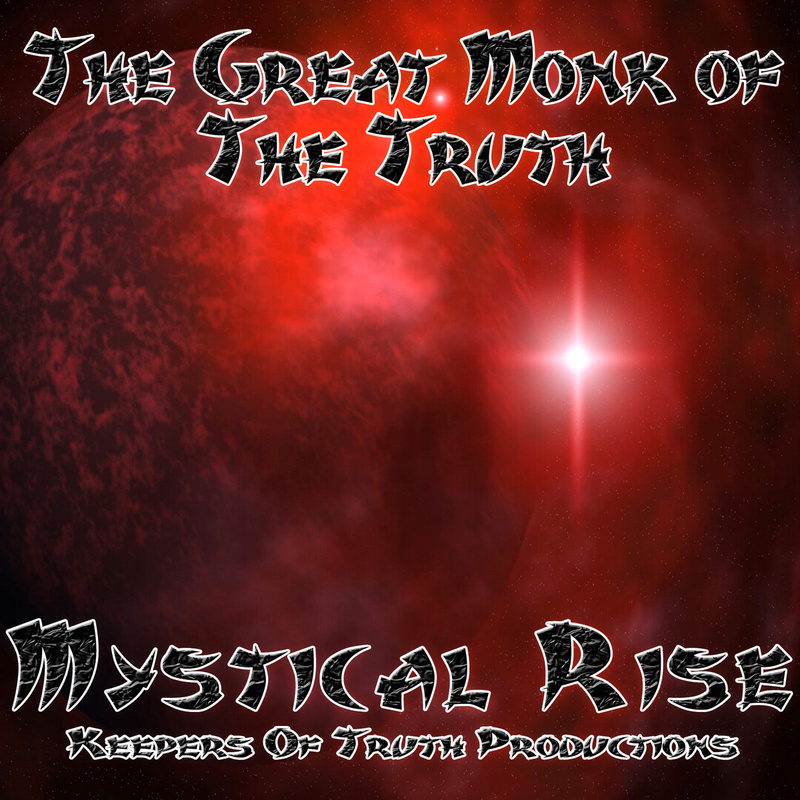 The Great Monk of The Truth - Mystical Rise (2013) Out now! 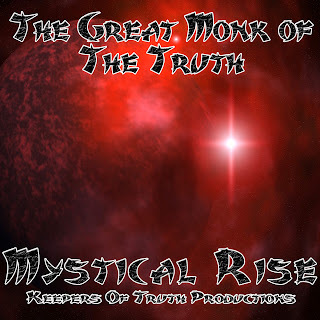 The Great Monk of The Truth releases his brand new album, entitled "Mystical Rise", through Keepers Of Truth Productions. The album consists of eight tracks, and offers guest appearances from artists like: Morning Star, Kogeemo, Verb, Cheyenne, C-Crow, Nesh, Antahkarana Heru Ki Nabu, Bensalem, Kalki, The Fact, Irrefutable, Bliss of Ascended Masters & The Beat Poets, Perfect K, Dark Energy, and Life Scientist. Productions by: Nemesis, The Cairo Beats, Scott Chambers, 3rd Chambah, Soob, Divine, and 7th Side. Cuts by: DJ Twisted. AbnormL Injustice - Quiet Lapse-2013 (2013) Out now! 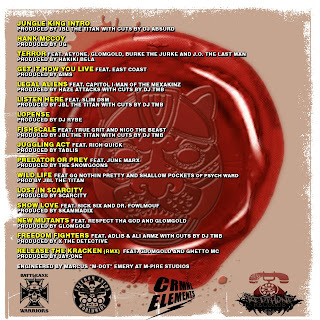 AbnormL Injustice latest records is called "Quiet Lapse-2013" and was released for free download on May 18, 2013. The instrumentals tape consists of 13 tracks, entirely produced by AbnormL Injustice, and includes the "Golden Age Mix" number 10. AbnormL Injustice Presents... the Wong Lab or....dreamtime. 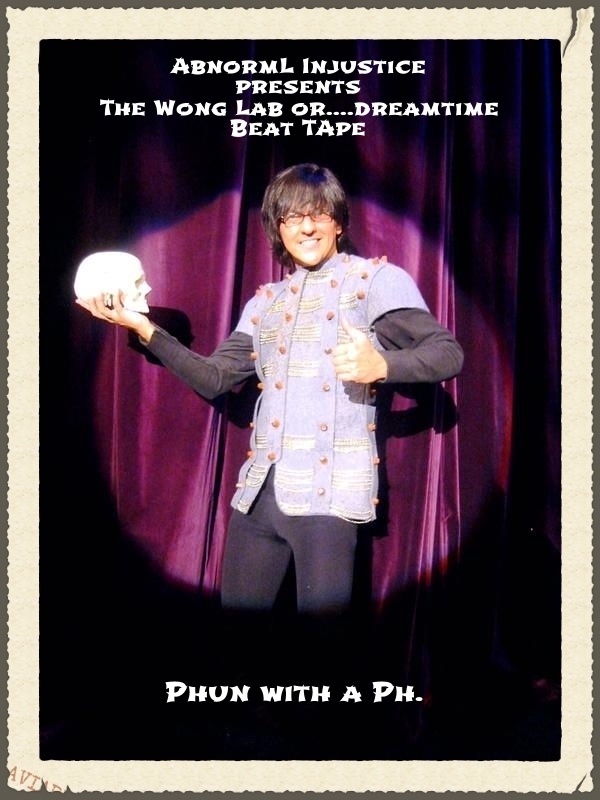 Ricky Wong Beat Tape (2013) Out now! AbnormL Injustice is once again out with a great beat tape. The new album consists of 13 instrumentals tracks entirely produced by AbnormL Injustice. The album was released for free on May 15, 2013. Handbook - Rare Ivory (2013) Out now! 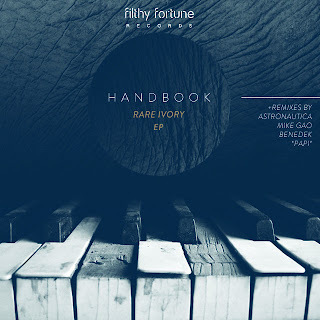 New EP by Handbook, 'Rare Ivory', released May 28, 2013. 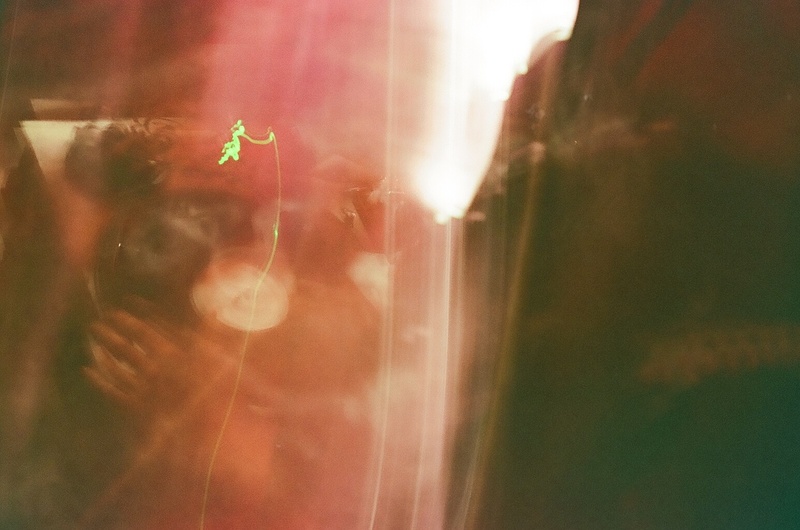 The EP consists of eight tracks, four of them produced by Handbook himself. Track number "05", "06", "07", and "08", is remixes by Astronautica, Mike Gao, Benedek, and Papi. Morbski - Speech Therpay (2013) Out now! Morbski aka Naja Gemini releases his brand new album as Morbski, entitled "Speech Therapy", through Revolt Motion Recordings. The album consists of 22 tracks, and offers guest appearances from artists like: Doctor Oscify, Ethiks (Thenextepidemik), Big Tim, Tmfse, Turtle Handz, Real Deep Music, Nacirema, and Skimp Killah. Apakalypse of Masta Buildas - The Reincarnation Cycle of All My Lifetime Combined (2013) Out now! Brand new full length solo album from the hard-working Apakalypse of Masta Buildas. The new album "The Reincarnation Cycle of All My Lifetime Combined" is a 15 tracks deep record, entirely produced by Lord Gamma. Released on E.S.F. Records. 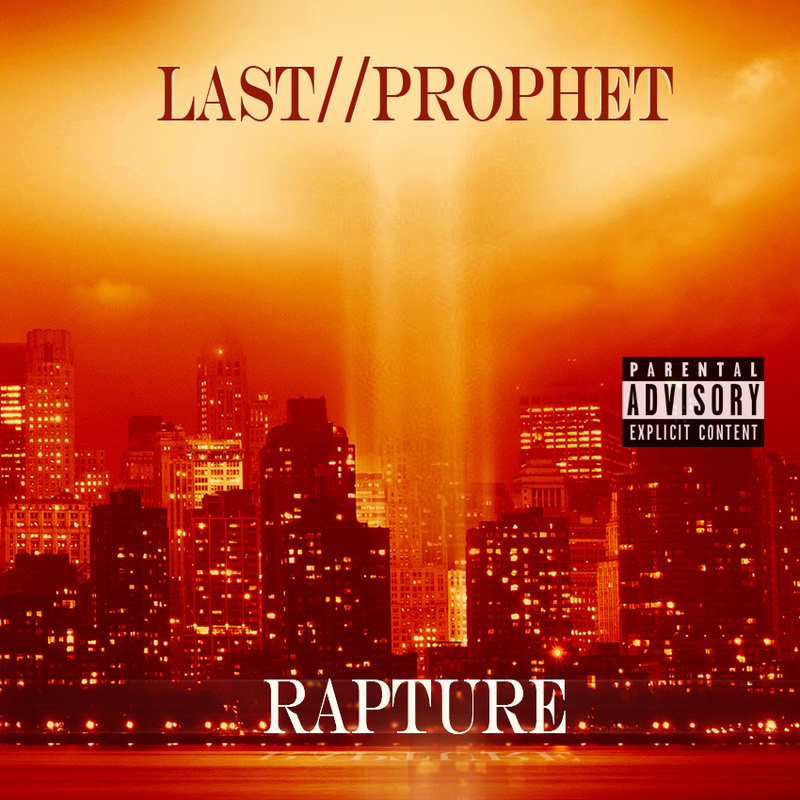 Last Prophet - Rapture (2013) Out now! 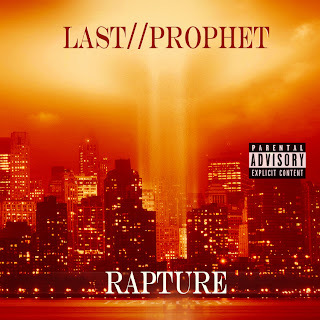 Last Prophet releases his brand new album, entitled "Rapture". 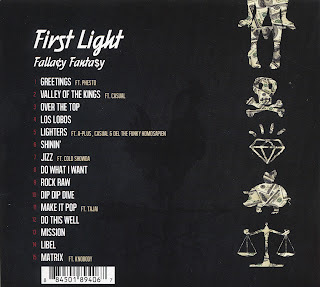 The album consists of 10 tracks, and offers guest appearances from artists like: Casper Black, and D.O.V. All tracks is composed, arranged, performed, mixed, and mastered by L/P. 06. Voices Feat. Casper Black, & D.O.V. 10. Words of the Wise Feat. D.O.V. The Hooded Locust from Cane Corso Records, has released a few joints form his upcoming album "Lithium", which features Bliss of Ascended Masters & The Beat Poets, among others. 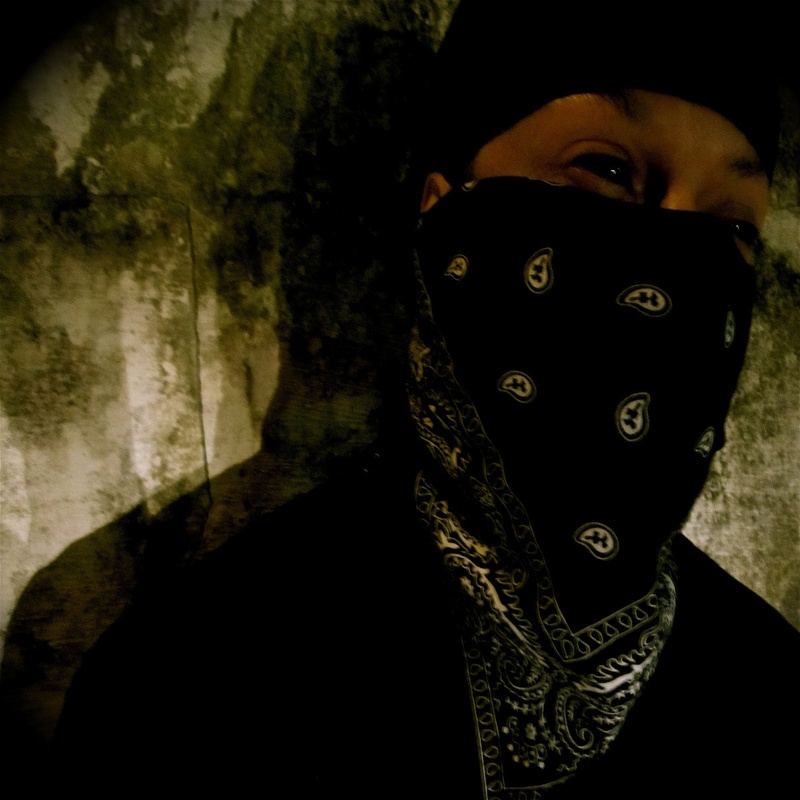 KdawG promoted the official first leak "Puppet Master" Feat. Bliss back in February. Since then, a couple new leaks has been released. You can now check them out on KdawG's Official YouTube channel. Qwel of Typical Cats & Maker - Beautiful Raw (2013) Out now! 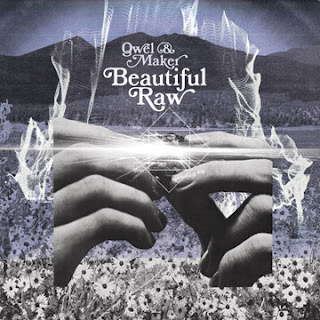 Qwel of Typical Cats & Maker releases their highly anticipated album "Beautiful Raw", which is their 4th album together, on Galapagos4 Records. The album consists of 14 tracks, and offers guest appearances from artists like: Biz Kid, D-Styles, Grouch of Living Legends, Qwazaar of Typical Cats & Outerlimitz, Scud One, Swamburger of SoLiLLaquists Of Sound, and Wes Restless. Entirely produced by Maker himself. 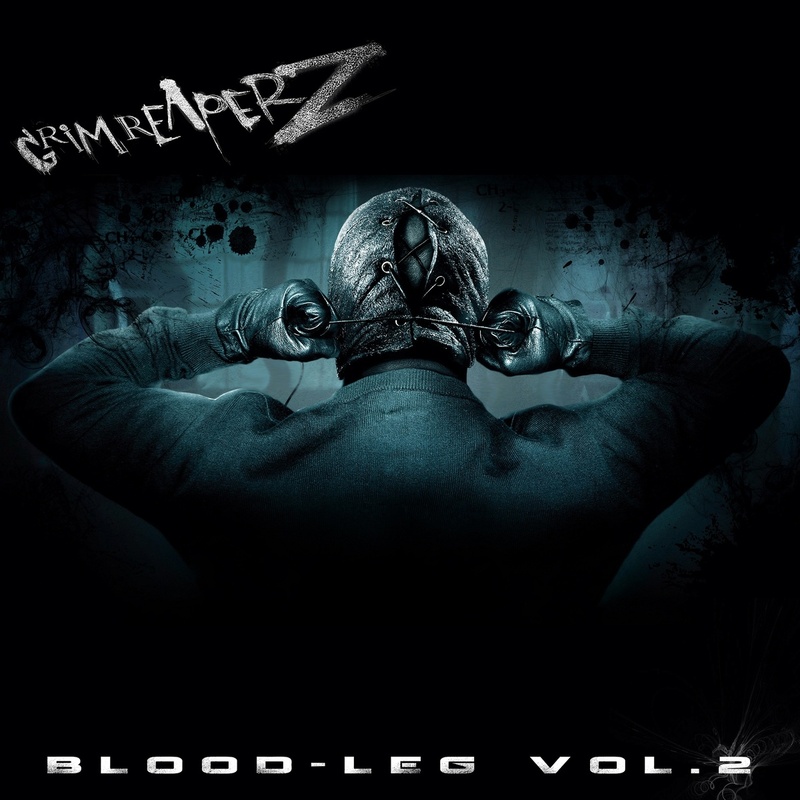 Grim Reaperz - Blood-Leg Vol. 2 (2013) Out now! The beatmakers Grim Reaperz releases their brand new EP, the sequel to Blood-Leg Vol. 1, entitled "Blood-Leg Vol. 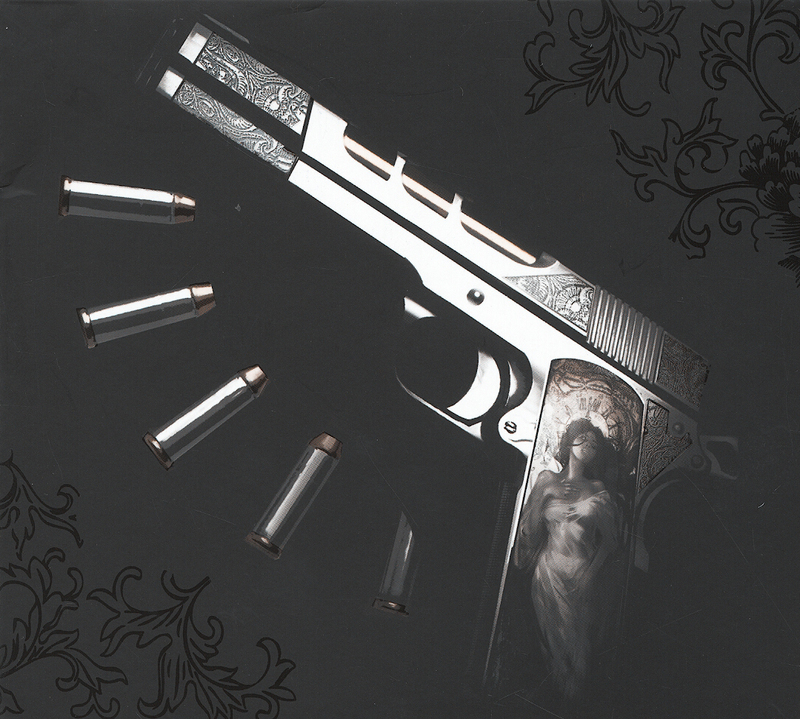 2" through BodyBag Music. 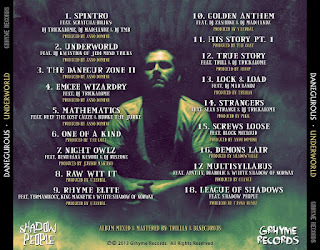 The EP consists of six tracks, produced by Crown of Grim Reaperz, and Grim Reaperz as a producer-team. The album also offers guest appearances from artists like: R.A. 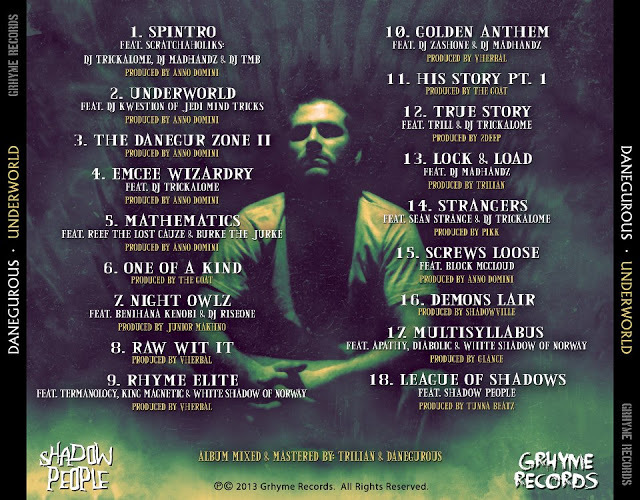 The Rugged Man, Evil Intentions, Bekay, Vitiate, Shaz Illyork, Epidemic, BAM, Verbal Kent, Kwote1, Prime, Sycksyllables, Reks, and Vorheez of Problemaddicts. Antahkarana Heru Ki Nabu - Corpus Addendum (2013) Out now! 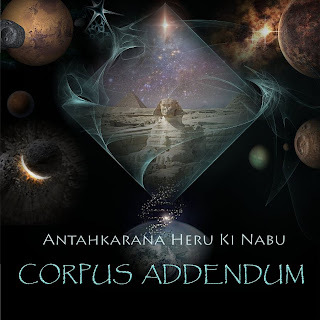 Brand new album by Antahkarana Heru Ki Nabu, entitled "Corpus Addendum", released through Revolt Motion Recordings May 25, 2013. 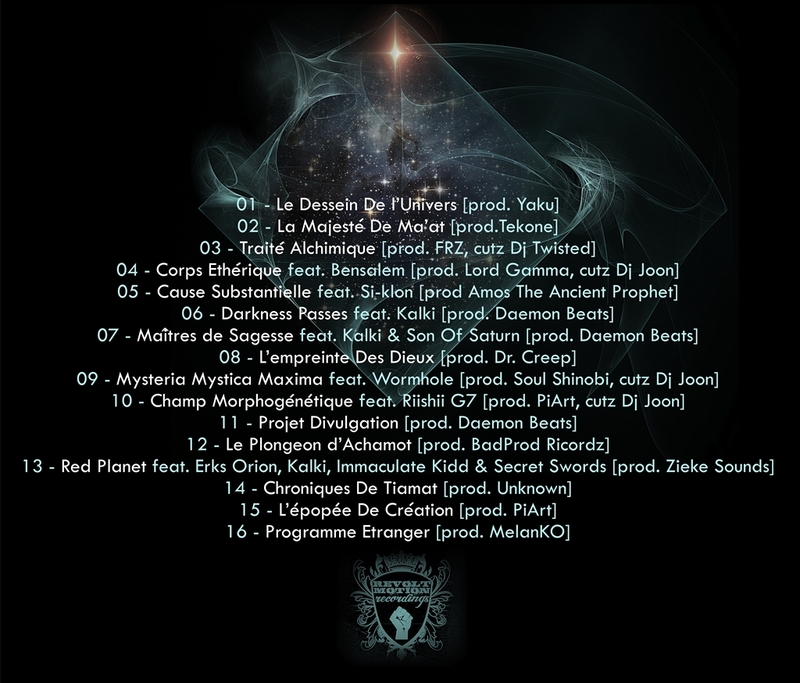 The album consists of 16 tracks, and offer guest appearances from artists like: Si-Klon, Kalki, Son of Saturn, Wormhole, Riishii G7, Erks Orion, Immaculate Kidd, Secret Swords. 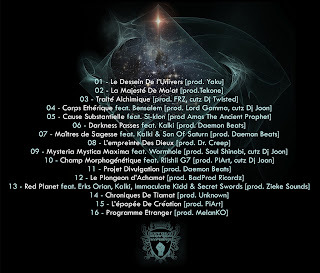 Productions from: Yaku, Tekone, FRZ, Lord Gamma, Amos The Ancient Prophet, Daemon Beats, Dr. Creep, Soul Shinobi, PiArt, BadProd Rikordz, Zieke Sounds, Unknown, and MelanKO. Cuts by: DJ Twisted and DJ Joon. KdawG talked to Noble Scity's own Zagnif Nori about his debut album "The Meridian Gem", his first EP "Insignia EP", The Noble Scity Collective/Label, his influences, hip hop in general, and much more! KdawG: What's good Zagnif? Glad to have you here for this interview. Zagnif: I'm cooling fam. How are you? Thanks for having me. KdawG: Good to hear. Im' well. Just put on your record "The Meridian Gem". Of course, no problem! KdawG: Let's talk a little about your brand new album first. 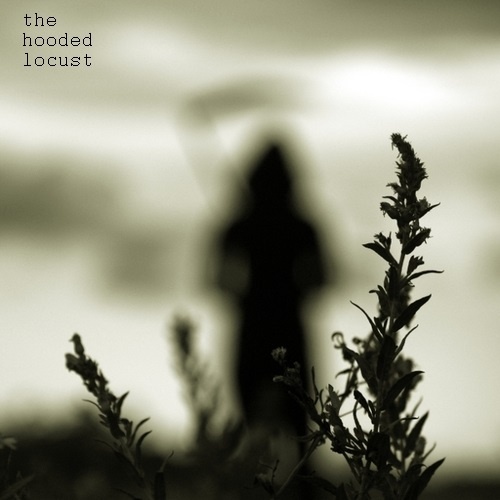 This was your official debut album, as well as the first release from the Noble Scity collective. 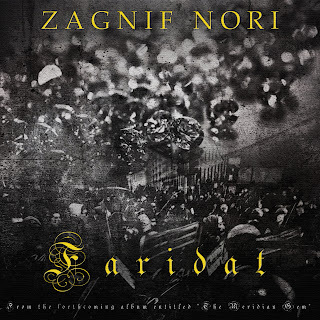 Zagnif: Yeah, my first official album. As far as official albums go, yes the first from the Noble Scity camp. Although, Kaotny "Unpolished" could be considered the first official album, but that was completed before the brothers Crucial and Kaotny became officially apart of Noble Scity. KdawG: Yeah, yeah. That's true. Can Noble Scity said to be a label as well as a collective of artists? Zagnif: Yeah, it's a brotherhood. Our chemistry is that of kids that grew up together. Its amazing being that we're all from different areas of the globe and we have that chemistry together. On top of that, we don't just link through the internet, we also link up together in the physical as well regardless of our locations. And we definitely try to treat it as our own label. KdwaG: Sounds very dope. Nothing better than that. Especially with regard to that you all know each other on the physical level, and you all together pushing out some real hip hop with roots in the good old boom bap. Exactly what the real heads want. Yeah, I also see you as a label, and that was my first thought, that this isn't just a collective, it's also a record label as well. Zagnif: Yeah, definitely without a doubt. That's what were about, there's nothing flashy about us. We don't come from happy realms of life, I wish and I'm pretty sure we all wish, but unfortunately we weren't blessed with that. So we deal with what we know. And we do it on our own if thats what it has to be. We have our own beats, 6 MCs that can really rhyme, mixing/mastering, artwork, press our own CDs, everything is done pretty much in-house. that you do all of the work yourself. we've got some examples of artists who have done this before, started from scratch and built up something that reached a lot of people. So that's really something to look up to. Something to be proud of. Zagnif: Yeah for real. Hopefully he catches on it. "Pyramid Builders" One of the singles from "The Meridian Gem". Feat. Heaven Razah (Formerly known as Hell Razah of Sunz of Man and Wu-Tang affiliate, and Kevlaar 7 of the Wisemen. 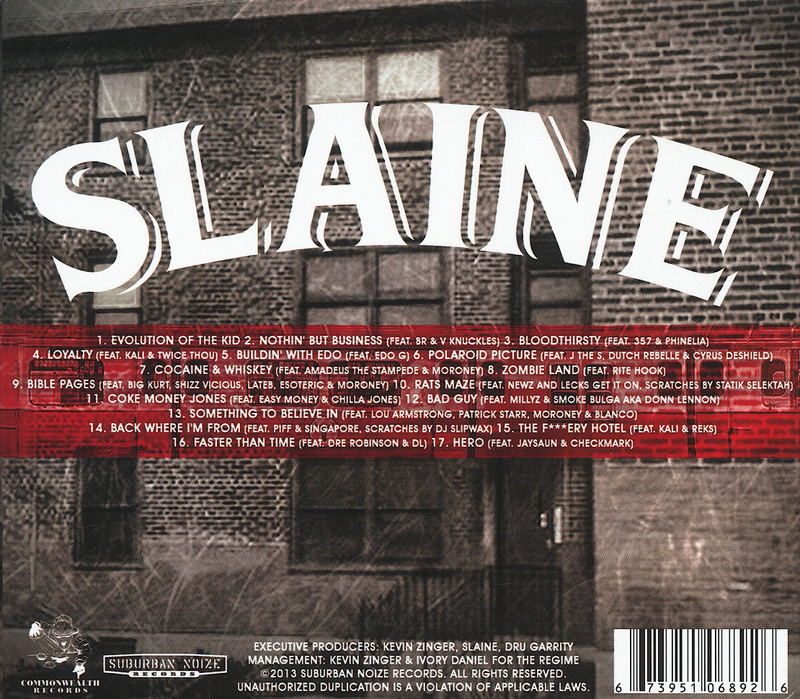 Produced by Crucial The Guillotine. KdawG: Yeah. "The Meridian Gem" also offers guest appearances from all the members of the Noble Scity collective, right? And you produced a couple of the joints yourself. Were you satisfied with the final outcome? Zagnif: Yeah, everyone is on "The Meridian Gem" album. Yeah, I produced 5 joints on there. Very satisfied with this album, probably the only project of mine that after completed I've been consistently listening to. Usually, I release something and a week after releasing it I don't listen to it ever again, lol. But this album, I've been technically working on it since I was in high school, about 10 years ago, none of the songs are that old, but that's how long its been being constructed. When I finished the album, I waited almost 5 months before I actually released it just to make sure I was completely satisfied and everyone apart of Noble Scity loved it and never got tired of it. KdawG: Sounds fantastic. Yes, the outcome can be said to be very good. It's a great album where everything is connected well. Flow, lyrics, beats, etc. No doubt about that. You have put a lot of work in this album, and I'm sure listeners and fans can hear it. You also got some more guest appearances on the album, by artists outside of the Noble Scity? Zagnif: Yes, Kevlaar 7 from The Wisemen who's been sort of family to me for over 10 years now is featured on there and also Heaven Razah, formerly known as Hell Razah from Sunz of Man/Wu-Tang. KdawG: Yeah no doubt. Some strong names to have on a record. And I gotta say that they fit perfectly on this album. A really good collabo. Zagnif: Thank you. Definitely do, they brought amazing verses to the table and Kevlaar also gave me a dope beat as well for Zubair. KdawG: Yeah, that's true. Kevlaar also produced a track on this album. Except from your own productions, I see that most of the other tracks was produced by Illy Vas and Crucial The Guillotine of Noble Scity. Zagnif: Yeah, all in-house production, except for the one Kevlaar produced track. KdawG: As we talked about, "The Meridian Gem", is, except of Kaotny's "Unpolished" the first official album release on Noble Scity. But it ain't the first release in general. 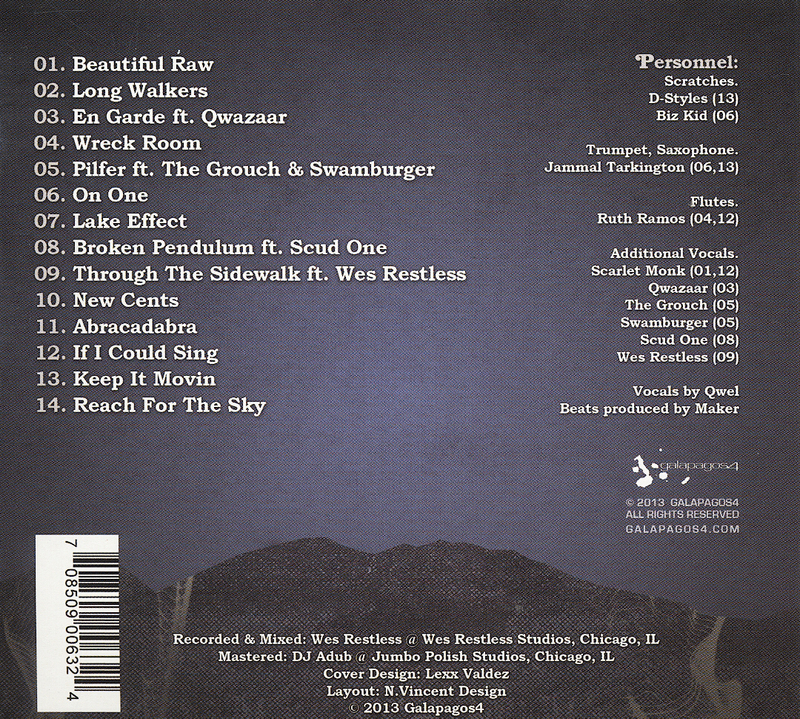 In 2011, you released the "Insignia EP" entirely produced by Illy Vas and Crucial The Guillotine. Tell us a little more about that. Zagnif: Yeah, "Insignia" was a EP I kind of put together with songs I already had and then recorded like 2 new tracks and we put it out there. Actually, tracks such as "Icarus Ashes" and "Crown of Thorns" were originally done for "The Meridian Gem" album, but I kind put them on "Insignia" instead. KdawG: Aight, interesting. So the EP was released as a collection of unreleased tracks in a way? Will there be any more releases on Noble Scity during 2013? 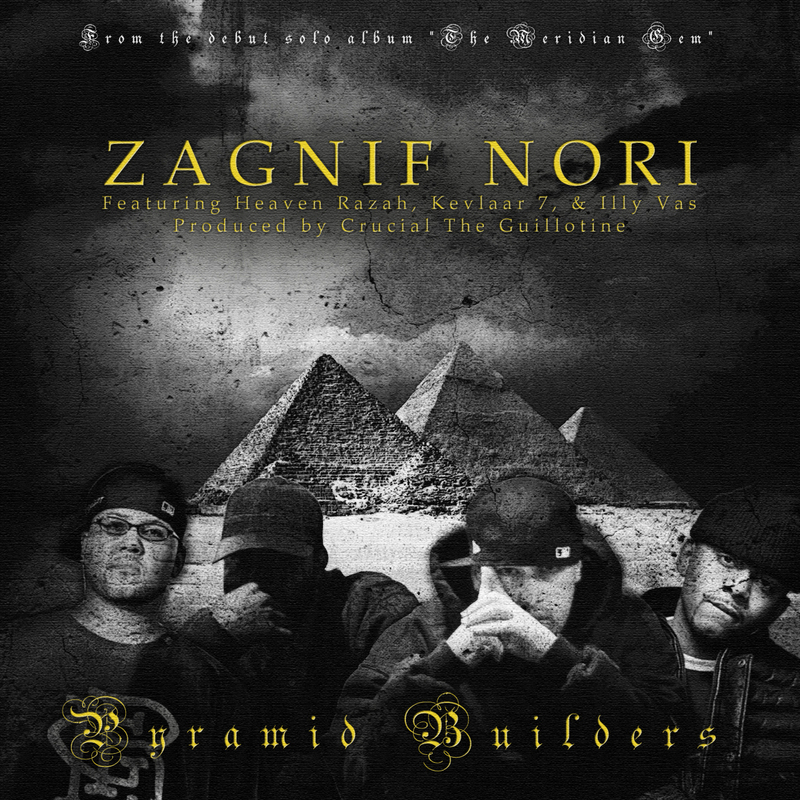 Zagnif: Yeah, right now were working on Sleeps "Blood Type Emcee" and Crucial The Guillotine's EP. I also may put out an EP on my born day (June 16 as stated on "The Overture" from "The Meridian Gem") entitled "Grandeur." Also, Illy Vas has a project called "The Circle Tape" he's working on and I'm executive producing a project for my man Kabe out in France, he's a producer, and that project will feature a bunch of artists rhyming over his beats. KdawG: Sounds like we all have a lot to look forward to, then! In the meantime we can enjoy "The Meridian Gem"! KdawG: What inspires you to write? Zagnif: Everything pretty much. But dope beats get me writing for sure, hearing others come dope on a record makes me want to murder the track lol. Sometimes my surroundings as well, even reading can sometimes bring up a couple of bars which then makes me extend those bars into a full verse. Sometimes I watch National Geographic Wild and see a Lion chasing and tearing apart his meal and that can inspire me too lol. But truthfully anything can inspire you if you're truly dedicated to writing. KdawG: (Laughs) sounds very nice. The words of a true emcee. It is not hard to hear that you're passionate about this. You say that beats also can inspire you to write, how about when you create your own beats. What can inspire you to producing? Zagnif: Truthfully, I hate producing, lol. My brothers will tell you, I hate every beat I do, almost. Its surprising I have 5 beats on the album. Sometimes, I'll hear a old soul track and I just love the track so much I want to sample it, but half the time it doesn't come out the way I like and I get frustrated lol. I really don't have the patience for beats which is why I don't make too many. KdawG: Oh, I see. Well, anyway I gotta say that the beats you made for "The Meridian Gem" was very dope. So you got all reasons to proud of those. But yeah, if you don't like to make beats that much, It's impressive that you actually made five for your album. Zagnif: Thank you. Yeah, like I said its surprising they made it, lol. What is hip hop for you? What's like the most important for you to reach the listener with, through your album, or your music in general. Not just on this album, but as an artist. Zagnif: The words and message. The beats create the atmosphere, but the words and message is what you can take with you in the end and relate to. KdawG: Any artists that you have been inspired by through the years? Zagnif: My biggest influence is Kool G Rap, thats my favorite MC of all time, but besides him growing up I was influenced by Boot Camp, Wu-Tang, Rakim, Big Pun, Tragedy Khadafi, Nas, Mobb Deep, so many others. As far as recently, I've been inspired by artists like Sean Price, Roc Marciano, Ka, Heaven Razah, and of course my Noble brothers. KdawG: Word. I can definitely feel you on the artists you named. What's your thoughts on hip hop today? is it where it should be? Zagnif: No, hip-hop in general is garbage to me. At least, thats my opinion. And I'm not talking just mainstream, underground is weak to me as well. I know that may be crazy talk to some, but truthfully as far as the mainstream goes we all know thats complete garbage, there's no words for it, but as far as the underground don't get me wrong there's a lot of dope music out there, but there's a lot of dudes out there who try to sound dusty and gutter, then claim that to be underground. Just because your recorded in a basement and its unbearable to listen to, doesn't make you underground, lol. Then, of course, you got the internet which is a blessing and a curse to hip-hop music. KdawG: And yeah the internet can be a very good "tool". Zagnif: Yes, if used correctly by artists and fans both. It's true about the underground as well.. Nobody is perfect, it's some garbage in general everywhere you look. But I have to say that it's a lot of blessed artists in the underground with much talent. Pretty much as yourself. Zagnif: Yeah, definitely. We just got to get back to making albums and not just songs. and it varies how known they are. But in common, they all talented and/or great artists already. But yes, you are definitely on point: We have to get back to making albums. Back to your album "The Meridian Gem". What's your personal favorite joint on the album? Do you got one? 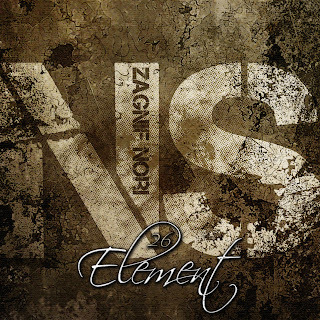 Zagnif: Not really, I like "Egalitarian" a lot for the fact that everyone is on that track, minus Sleeps, he did have a verse on there, but unfortunately we received it after everything was mixed down. I just love songs with my brothers. I also love "Faridat." 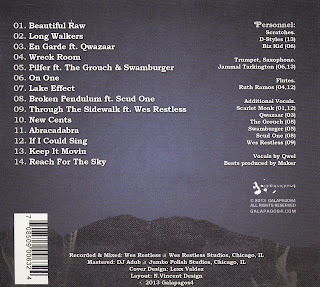 "Burial" is another favorite which because of Illy's verse forced me to write a dope verse and then forced me to add it onto the album because it was originally just a random track recorded. "II" is a big one also, then you got "Pyramid Builders" where I get to share the spotlight with one of my favorite artists of all time in Razah. I mean really, I don't have a favorite, I just love it as a whole. KdawG: Word. If I had to say one, "Egalitarian" is definitely one of my favorites as well But yeah the album is solid, so it's not easy to pick just one track..
KdawG: All good. One question about the forthcoming EP. What can the listeners expect on that one? Zagnif: More grime. The tracks I have on that one are more on the grimy side of things, one track was released in preparation for the album, it was actually entitled "Grandeur" which is what I'm calling the EP, other than that track everything else is more grimy, straight lyrics. KdawG: Sounds nice, Zagnif. Will there be any guest appearances on there? Zagnif: Yeah, just Noble Scity. KdawG: Nice, nice. Do you have any release date on that one or is it to early to say? Zagnif: Yea I was planning on releasing it on my born day next month, June 16, to give it "The Meridian Gem" album some extra promotion, but I don't know we'll see what happens. KdawG: Oh yeah, my bad. I think you already said that (Laughs). Yeah, no doubt. KdawG: Do you have something special on your mind: Something you would like to say? 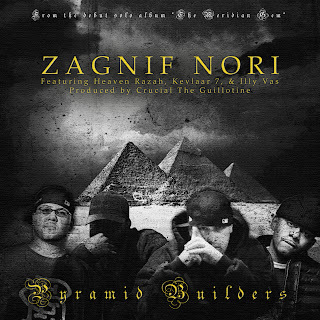 Zagnif: Just cop the album, "The Meridian Gem," and support what we're doing. I appreciate everyone that has purchased the album already, its an honor and blessing for those people that have supported it. I recognize some names that always show love and we truly appreciate it, for real. KdawG: Word. I would also like to recommend this album to everyone! Thanks to you Zagnif Nori for your time, it was a pleasure to listen to your words. Zagnif: Thank you for showing me love and interviewing me. It means a lot, man. Thank you. KdawG: No problem Zagnif. We all look forward to what's next on Noble Scity, and continue to have good luck with your new album "The Meridian Gem". Thanks for now! 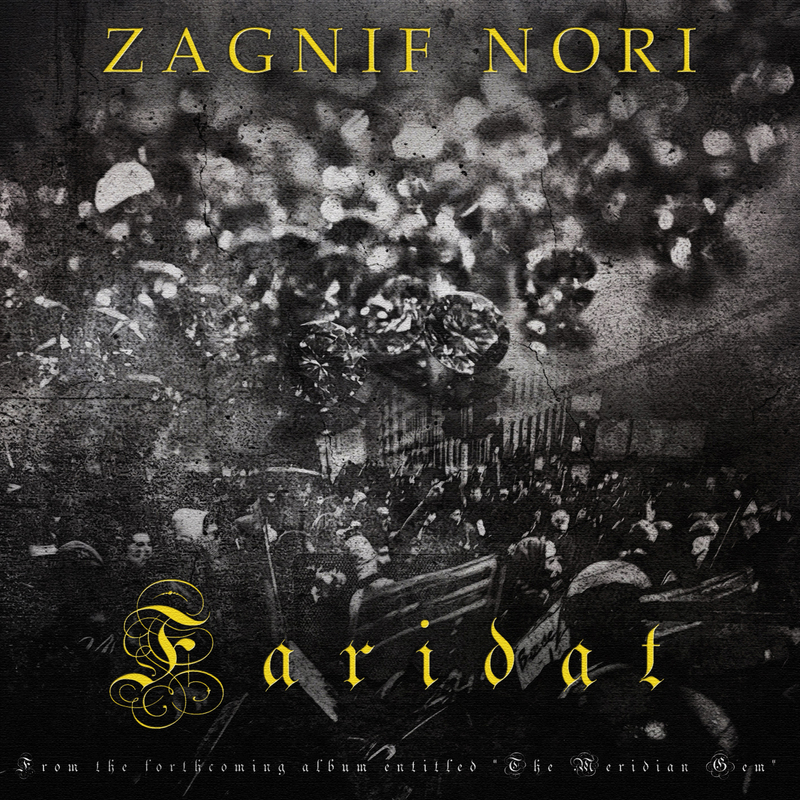 Zagnif Nori - The Meridian Gem (2013) Out now! Also available in many more online stores, visit: NobleScity.com for more information on that! Interview by KdawG for S-R-H-H, Ent. © 2013. All Rights Reserved. 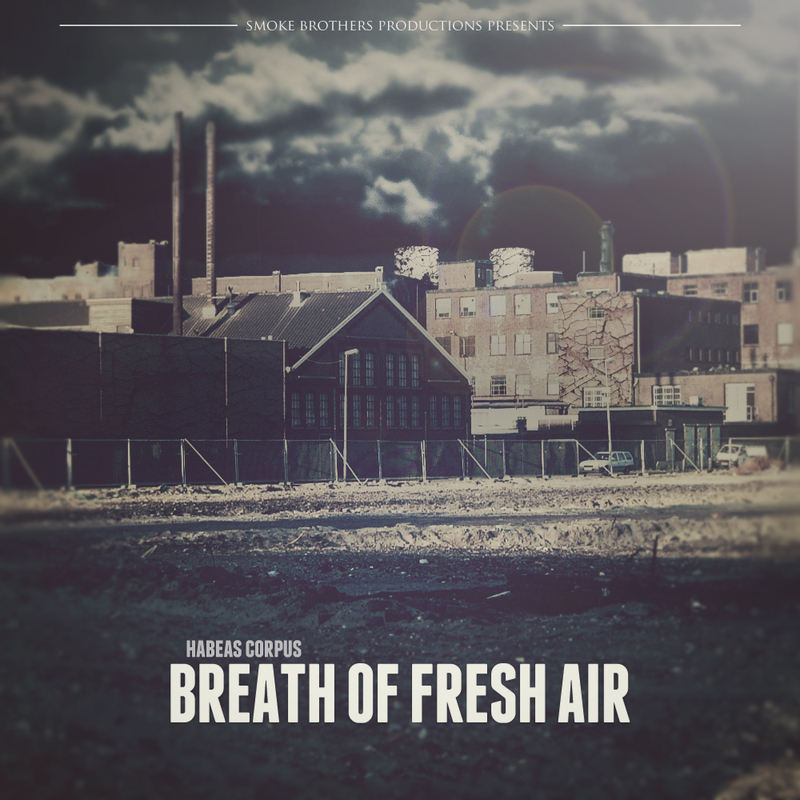 Habeas Corpus - Breath Of Fresh Air (2013) Out now! 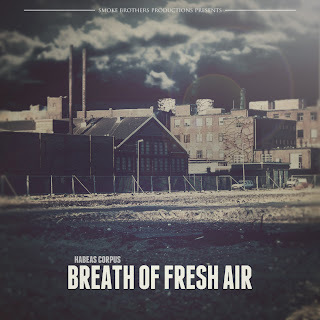 Habeas Corpus releases his brand new album, entitled "Breath Of Fresh Air", which consists of 16 tracks, entirely produced by Habeas himself. The album also offers guest appearances from artists like: Eral the Lorax, General X, James Ciphurphace, DJ Delight, Danger James, Talk-Sik, Al Basics, John Henry vs. Seth Mul, iLLrated, Childish, Alpha Sigma, and Lips Loucious. As Habeas say with his own words "Habeas is a 27 year old emcee/producer/audio engineer. He does his own production, writing, recording, mixing, and mastering. He started making Hip-Hop music back in 1998 and went to school for audio engineering 10 years later. He sounds like a mix between Atmosphere/Jedi Mind Tricks/Mac Lethal/El-P/Sage Francis/Oh No/Wu-Tang Clan /Madlib/RJD2/Soul Khan/Aesop Rock, all rolled into one person. His music doesn't always fit the usual Hip-Hop or Rap guidelines. He's constantly progressing and becoming better with each song. Instead of fitting into the regular guidelines of Rap and Hip-Hop, he's writing his own guidelines, which are very broad and unrestricted. Habeas is considered a vet in his home state of Arizona. He is most recognized as 1/3 of The Natives Are Restless and is also a staff member of the now National Emcee Battle League based out of Tucson, AZ called Voicebox Battles." " This latest project is about Habeas taking the time to make his own solo album. The title track and first single "Breath Of Fresh Air (Gotta Get Away)" explains thoroughly the reasoning behind Habeas creating this solo album. Although the album was made for Habeas's own satisfaction and enjoyment, and not someoneone elses, it's basically a guideline for the up and coming rapper on how to make a hip hop album. Each song is very relatable for the 99% of the people in the world and their daily struggles. It's about not giving up and trying your best no matter what challenges are thrown at you. The sound for this album is clearly Boom Bap, Diggin' In The Crates, pure Hip-Hop, with multi syllable rhymes schemes, and internal rhyme patterns, with a 90's feel delivery and cadence. The lyrics never stray from the topic of the content on each song. It's a "Breath Of Fresh" musically and sonically from all the music industry puppets who lack creative control, it's also a "Breath Of Fresh Air" to help you cope and get away from the stresses of life that sometimes consumes us and makes us claustrophobic." - Habeas. 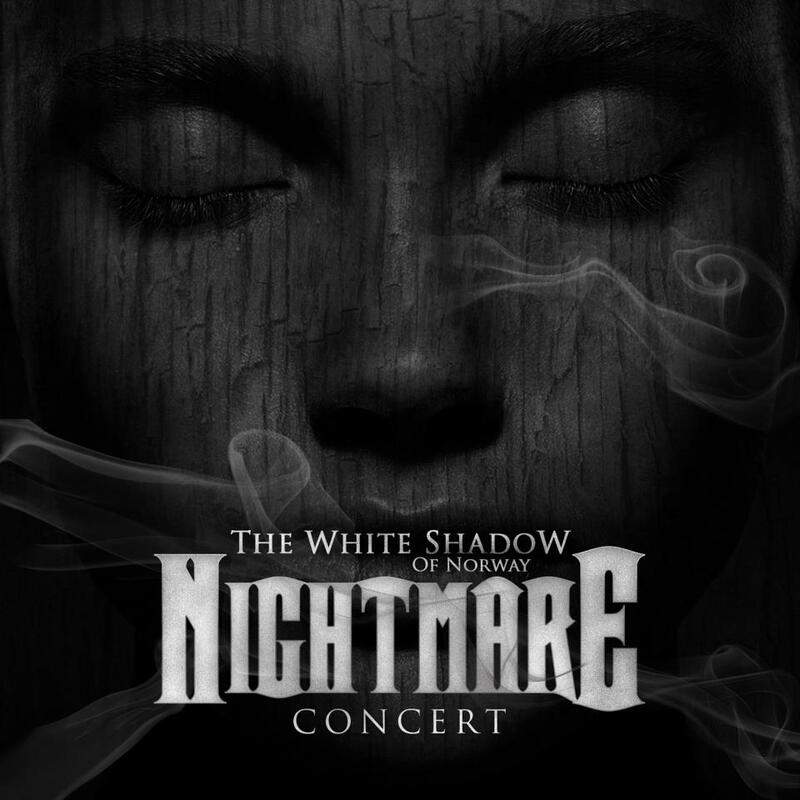 The White Shadow Of Norway - Nightmare Concert (2013) Out now! 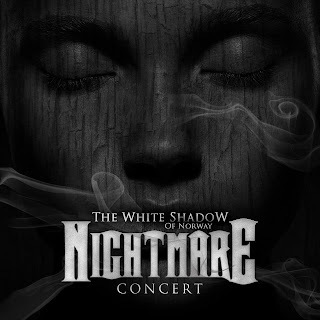 The White Shadow Of Norway's brand new album "Nightmare Concert" is now available in every online store. The album consists of 11 tracks, entirely produced by The White Shadow Of Norway. The album offers guest appearances from artists like: M.O.P., Theweberjosh, Rakim, War Generalz, Pariah Rebel, Masta of Ceremoniez, Fat Joe, Bigg Limn, Pryme Prolifik, Tre L, Kool G Rap, Talib Kweli of Black Star & Reflection Eternal, Sean Price, Royal Flush, Danegurous of Shadow People, Verbal Godz, Absoulut Karnage, Marcanum X, Channel Live, Joell Ortiz, Mark Deez, Infinito 2017, and SyckSyllables. 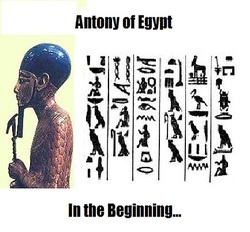 You can now check out the "Oldie, but goodie" album "In The Beginning" by Kalki as Antony of Egypt. The album is a collection of unreleased tracks from 2000 - 2004. The album consists of 20 tracks, and offers productions from: L.A. (Remix), Ali Dahesh, David E, Crooklyn Dodgers (Remix), and DC Entel Beats. The album also features guest appearances from artists like: David E, Jibah, and La Conecta. 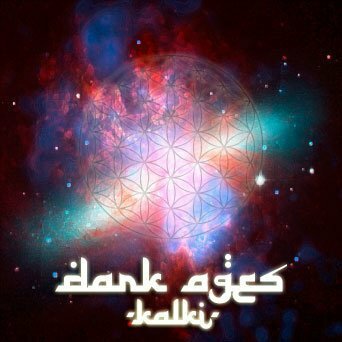 You can now check out some tracks from the album "Dark Ages (Kali Yuga)" (2010) by Kali, which is a instant classic record in Spiritual hip hop. The album consists of 13 tracks, entirely produced by Jophiel the Ubikutous Gazer. 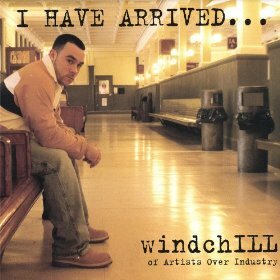 You can now check out two tracks from the instant classic album "I Have Arrived" by WindchILL of Artists Over Industry, from 2007. The album consists of 15 tracks, and offer guest appearances from artists like: Ladii J, SL of Repeat Offenders, Phynite, Apollo's Sun, and Inkwell the Biologic of AOI. Godilla - Altered Beast (2013) Out now! 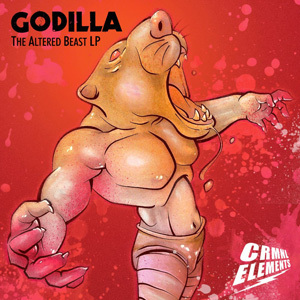 Godilla releases his brand new album, entitled "Altered Beast", - as a sequel to "Battle Beast: A Prelude To Human Zoo" (2012), through RedPhone Records. The album consists of 18 tracks, and offers guest appearances from artists like: Aeyone Glomgold, Burke The Jurke, J.O. The Last Man, East Coast, Capitol-1Man of The Mexakinz, Slim DSM, True Grit, Nico The Beast, Rich Quick, June Marx of Twin Perils, GQ Nothin Pretty, Shallow Pockets of Psych Ward, Sick Six, Dr. Fowlmouf, Respect Tha God, Adlib, Ali Armz, and Ghetto MC. Productions from: DJ Absurd, Hakiki Bela, Aims, Haze Attacks, JBL The Titan, DJ Rybe, Tablis, The Snowgoons, Scarcity, Skammadix, Glomgold, X The Detective, and Jay-One. Cuts by: DJ TMB. The album is engineered by Marcus "M-Dot" Emery. 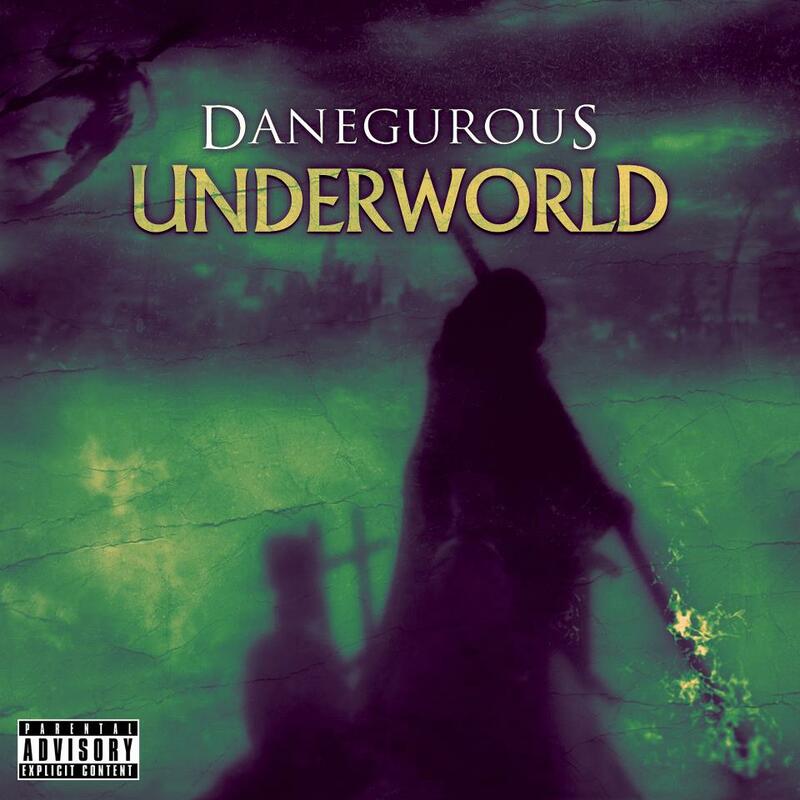 Danegurous - Underworld (2013) Out now! 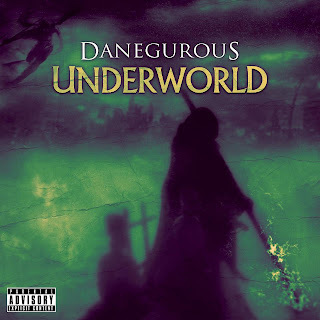 The brand new album by Danegurous is now available in every online store. 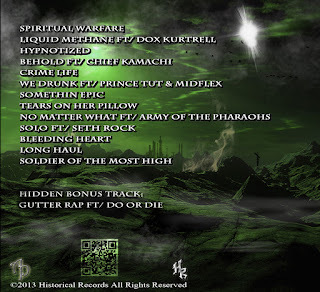 The album consists of 18 tracks, and offer guest appearances from artists like: Skratchaholiks, Anno Domini Beats, DJ Kwestion of Jedi Mind Tricks, DJ Trickalome, Reef The Lost Cauze of Army Of The Pharaohs, Burke The Jurke, Benihana Kenobi, King Magnetic, Termanology, The White Shadow Of Norway, DJ zashone, DJ Madhandz, Trill, Sean Strange, Block McCloud, Diabolic, and Apathy of Army Of The Pharaohs & Demigodz. Vimanas Project - Vimanas Project Vol. 1 (2013) Out now! Finally; It is here! 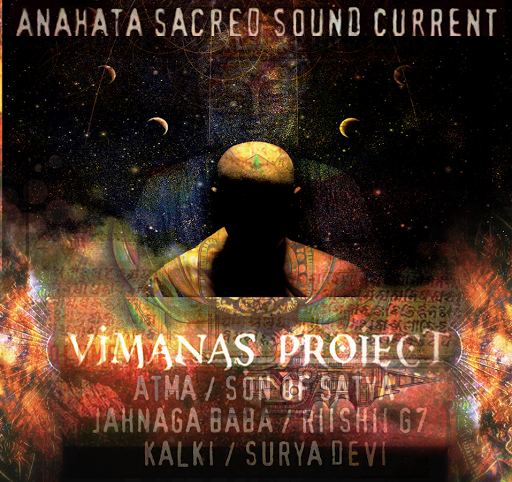 The brand new album by Atma, Son of Satya (Son of Saturn), Jahnaga Baba (JahNIgga Tha Baptist), Riishii G7, Kalki, Surya Devi, and producer Anahata Sacred Sound Current together as Vimanas Project, brings you "Vimanas Project Vol. 1"! The album consists of 15 tracks, entirely produced by Anahata Sacred Sound Current. The amzing producer teams up with this veterans and amazing emcees, and takes the listener through a unforgettable journey! The album is available for free download on Bandcamp, at the moment. But if you feel this, please feel free to make a donation on Bandcamp as well! 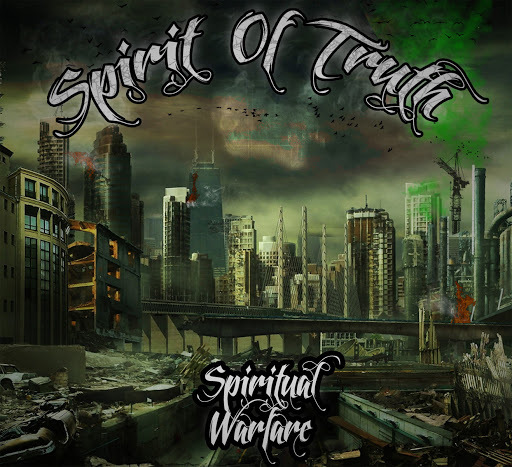 Spirit Of Truth releases his highly anticipated debut solo album "Spiritual Warfare", through Historical Records. The album consists of 14 tracks, and offers guest appearances from artists like: Army Of The Pharaohs (Planetary), Chief Kamachi, Do or Die, Dox Kurtrell, MidFlex, and Prince Tut. Productions from: Anno Domini Beats, Dirty Soc, Royal Audio Tunes, and VTZ. More tracks from the upcoming debut album by Fellows of Perfect Penmanship. Release date: T.B.A. 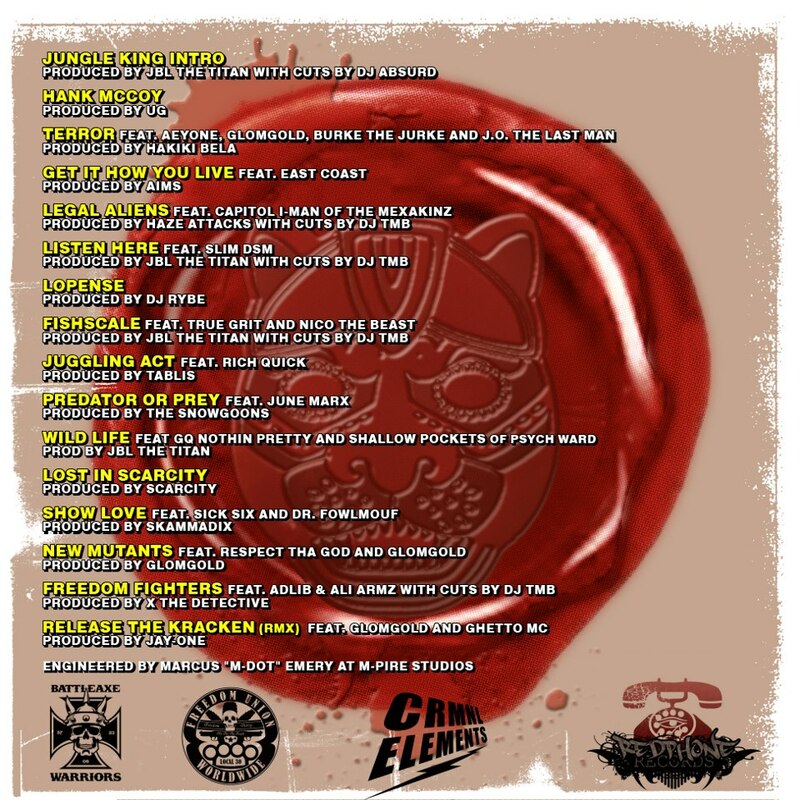 Gene The Southern Child & Parallel Thought - Artillery Splurgin' (2013) Out now! 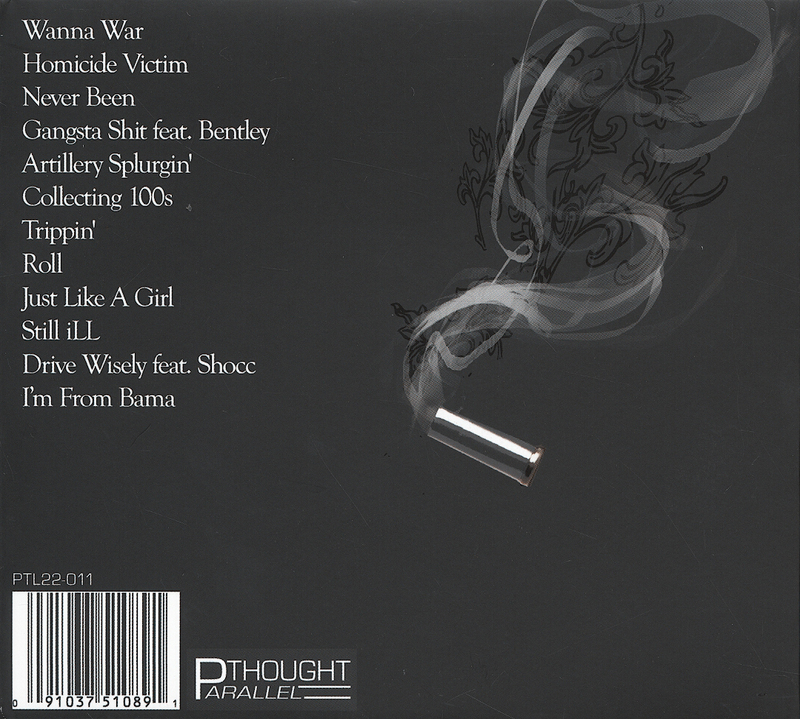 Parallel Thought and Gene The Southern Child releases their brand new collaborations album, entitled "Artillery Splurgin' " through Parallel Thought LTD. 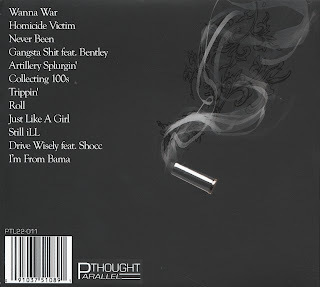 The album consists of 13 tracks, and offers guest appearances from artists like: Bentley, G-Mane, and Shocc. Entirely produced by Parallel Thought. If you purchase it through UGHH.com you will also get a free copy of the last years collabo album "A Ride With The Southern Child" & "Articulation" CD's. The Mixtape with Southern Child is also available on KdawG's Official YouTube channel for promo. 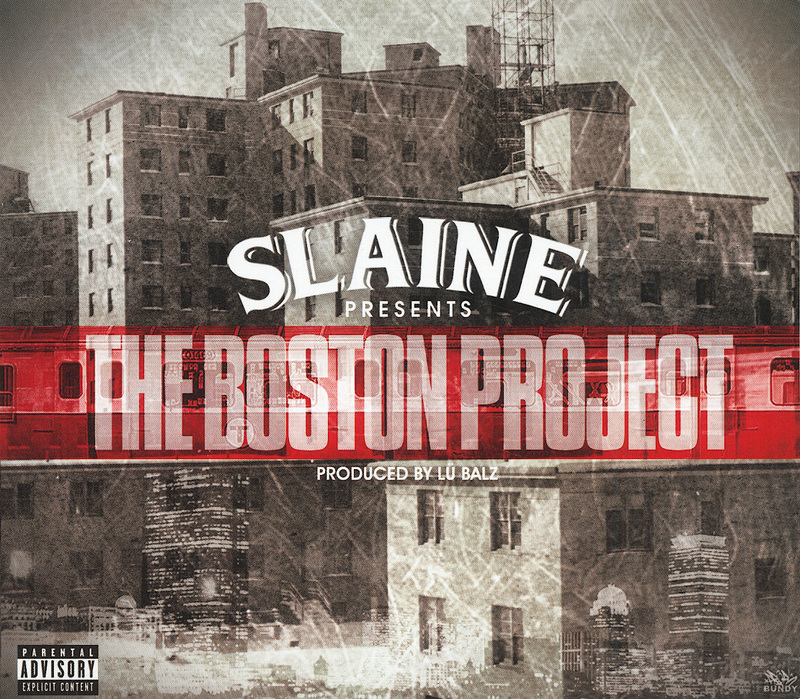 Labels: Gene The Southern Child, Parallel Thought, Parallel Thought LTD.
Slaine of La Coka Nostra - The Boston Project (2013) Out now! 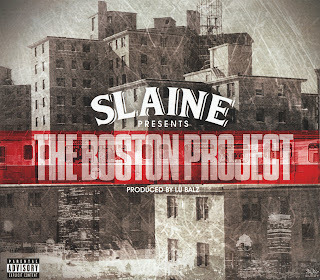 Slaine of La Coka Nostra & Special Teamz, releases his brand new album, entitled "The Boston Project", which features a lot of up and coming and talented emcees and producers. The album consists of 17 tracks, and offer guest appearances from artists like: 357, Amadeus The Stampede, BR, Big Kurt, Blanco, Checkmark of Skitzofreniks, Chilla Jones, Curys Deshield, DL, Dre Robinson, Dutch Rebelle, EDO.G., Easy Money, Esoteric of Demigodz & Army Of The Pharaohs, J The S (formerly Jake The Snake), Jaysaun of Kreators & Special Teamz, Kali, Lateb, Lecks Get It On, Lou Armstrong, Millyz, Moroney, Newz, Patrick Starr, Phinelia, Piff, Reks, Rite Hook, Shizz Vicious, Singapore Kane, Smoke Bulga, Twice Thou, and V-Knuckles of N.B.S. Productions from: C-Lance, Lu Balz, Matty Trump, and Teddy Roxpin. Released through Suburban Noize Records and Commonwealth Records. 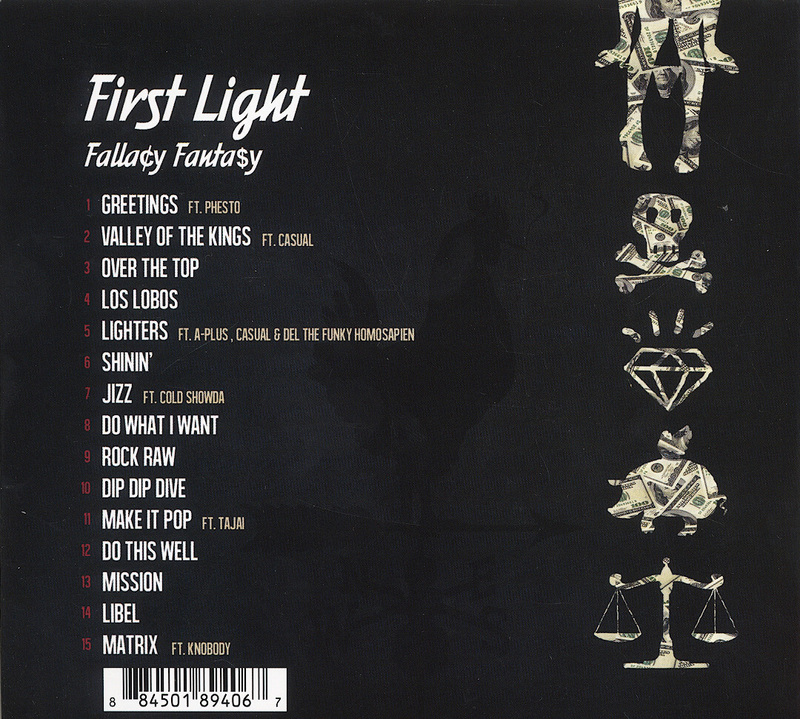 First Light (Pep Love of Hieroglyphics & Opio of Souls Of Mischief) - Fallacy Fantasy (2013) Out now! 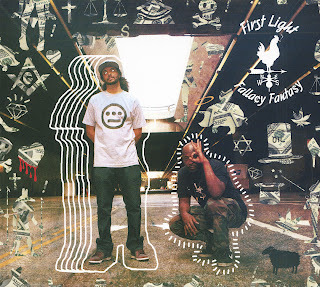 Pep Love of Hieroglyphics & Opio of Souls Of Mischief as their new group "First Light" released their brand new collaborations album, entitled "Fallacy Fantasy", on April 16, 2013, - Through Hieroglyphics Imperium Recordings. 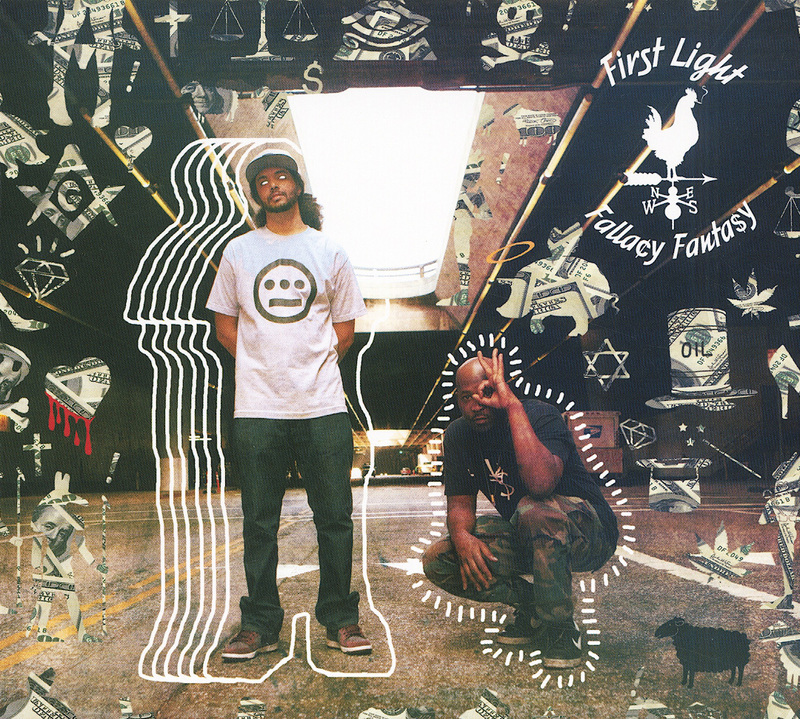 The album consists of 15 tracks, and offers guest appearances from artists like: A-Plus of Souls Of Mischief, Casual of Hieroglyphics, Cold Showda, Del The Funky Homosapien of Hieroglyphics, Knobody, Phesto Dee of Souls Of Mischief, and Tajai of Souls Of Mischief. Productions from: Alkota, Cold Showda, Opio of Souls Of Mischief, Steven King, and Unjust. 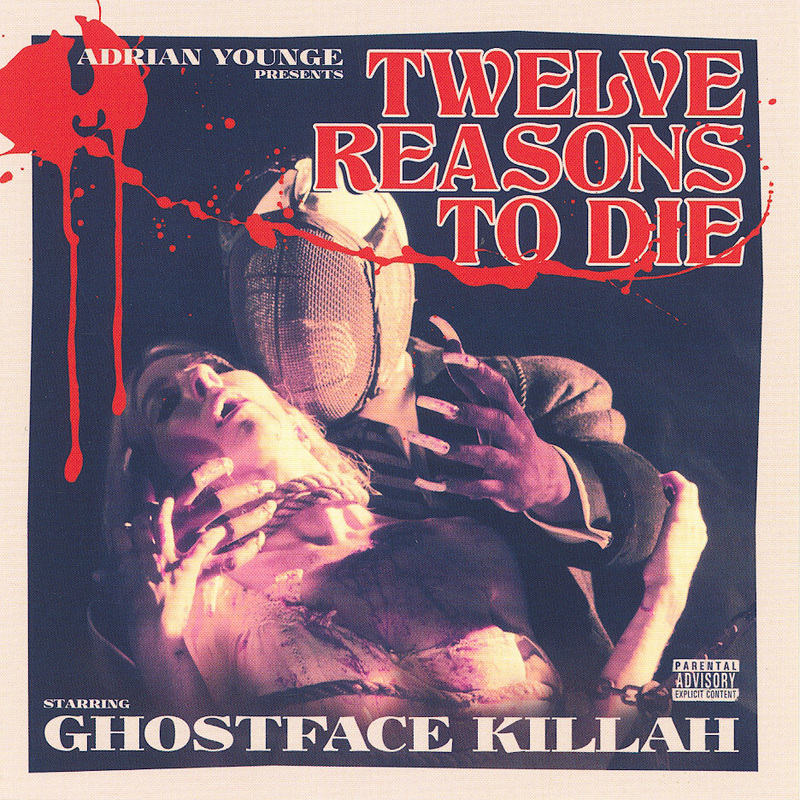 Ghostface Killah of Wu-Tang Clan & Adrian Younge - Twelve Reasons To Die (2013) Out now! Ghostface Killah of Wu-Tang Clan, & Adrian Younge releases their brand new album, entitled "Twelve Reasons To Die", through Soul Temple Entertainment. 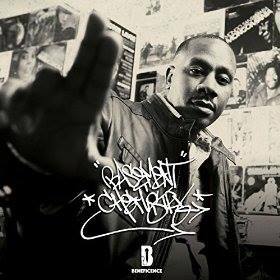 The album consists of 12 tracks, and offers guest appearances from artists like: Cappadonna, DJ Mark Luv, DJ Mekalek of Time Machine, Inspectah Deck of Wu-Tang Clan, Killa Sin of Killarmy, Masta Killa of Wu-Tang Clan, U-God of Wu-Tang Clan, and William Hart of The Delfonics. Entirely produced by Adrian Younge.